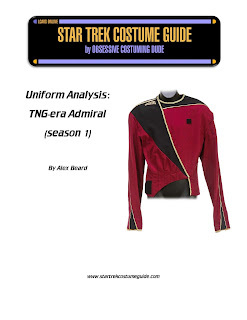 Star Trek Costume Guide: TNG season 1 admiral uniform analysis added! TNG season 1 admiral uniform analysis added! 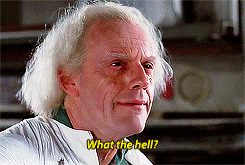 We’re back and continuing our look at the uniforms from The Next Generation! In this next installment, we’ll be looking at the admiral uniforms from season 1. Special thanks goes to Angelo Cifaldi for letting me examine the costume! Love his work or hate it, William Ware Theiss was one of a kind, and this uniform is no exception. In this new costume analysis, we not only explore possible stylistic inspirations and influences which led to William Ware Theiss’ design, but also the construction of the jacket itself, which is even more bizarre than you’d probably expect. Did you know that, despite their limited appearances that first season, these admiral uniforms actually changed? Or that, in addition to the infamous brooch, season 1 admirals actually wore standard rank pips? Read all about the TNG season 1 admiral uniforms here, or simply click the "TNG" tab above and select the new season 1 admiral option!